Pip Pointon's website … for all things Pip! 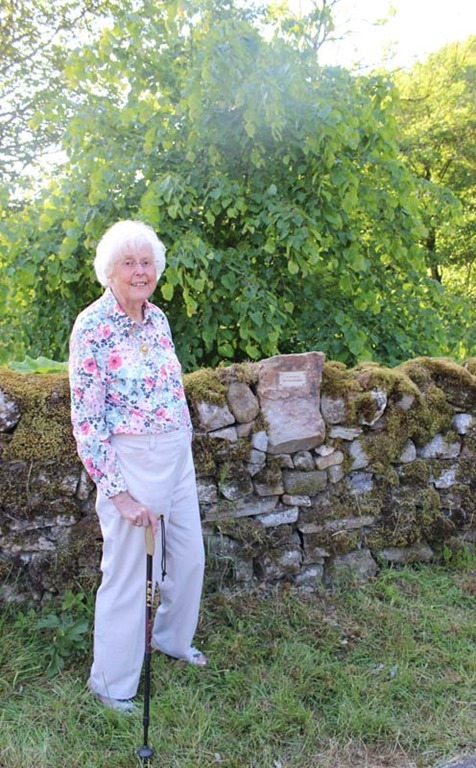 There was a definite ‘Wow’ factor on Thursday June 7 when some members of the Association of Rural Communities‘ committee gathered at Winterburn for the delivery of a plaque in memory of Jim Cunnington. The first surprise was to see how well the lime tree had grown after it was planted in Jim’s memory five years ago. 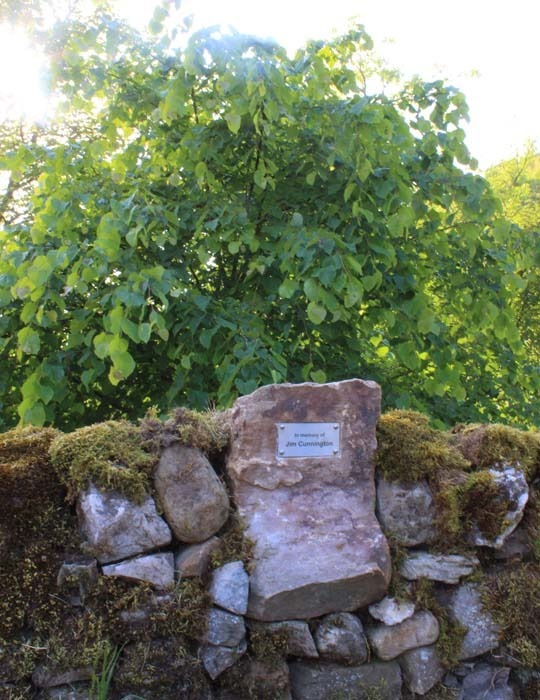 Then I watched almost in awe as two farmers, the Association’s chairman Alastair Dinsdale, and Clifford Lambert, created a gap in the dry stone wall between the tree and the road and skilfully inserted the stone on which Alastair had attached the plaque. It was a short master class in dry stone walling. Afterwards Jim’s widow, Jenny (pictured beside the plaque), invited us back to her home for a delightful afternoon tea. 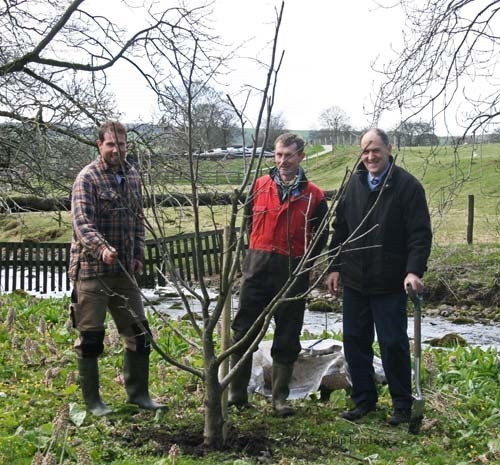 At the committee meeting that evening it was agreed that the Association should plant two more trees – in memory of two more of its founder members, Tom Knowles and Stephen Butcher. This will be discussed with the families of Tom and Stephen. 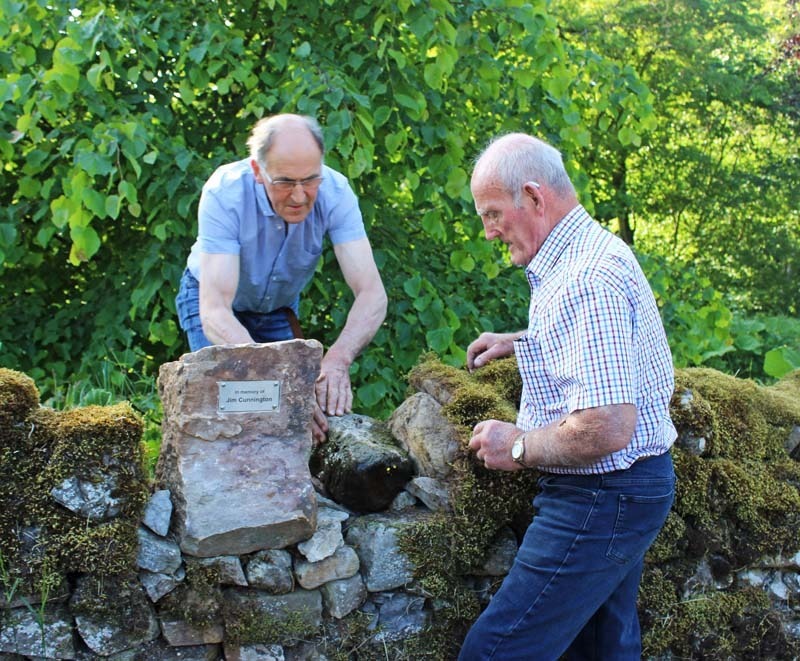 Below: Alastair (left) and Clifford inserting the stone with plaque attached; the plaque with the the lime tree behind it; tree planting in May 2013. West Burton school – Stop the Bussing! Pip’s Patch © 2008-2019 All Rights Reserved.